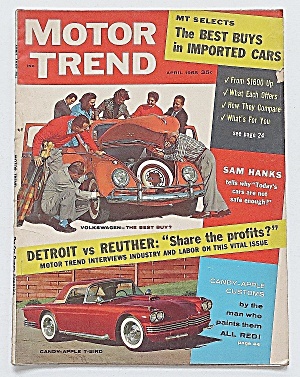 This Vintage April 1958 Motor Trend Magazine is complete and in good condition. This magazine measures approx. 8 1/4 x 11 and is suitable for framing. The front cover features Detroit VS. Reuther.